The word vortex – popularized last winter by extended arctic outbreaks related to a wobbly polar vortex – can sound rather ominous. A vortex, however, is simply a whirling mass of air or water. Its spiral pattern is found throughout nature. In the weather world, vortices form for a variety and combination of reasons, including differences in atmospheric pressure, wind shear, and centrifugal force. Tornadoes, waterspouts, and hurricanes, are all examples. They, unlike the polar vortex, are visible because of the water vapor and debris that gets sucked into them. The spiral shape of a vortex is also represented in art in various sizes and materials. 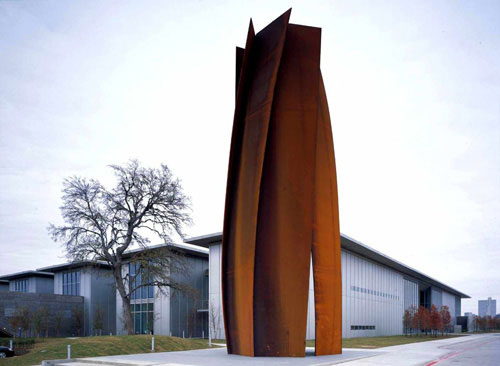 One of the largest is Richard Serra’s massive (67’x21’x20’) cor-ten steel sculpture, “Vortex” (2002), at the Modern Art Museum of Fort Worth in Texas. One of my more recent sightings, however, was on a much smaller scale. 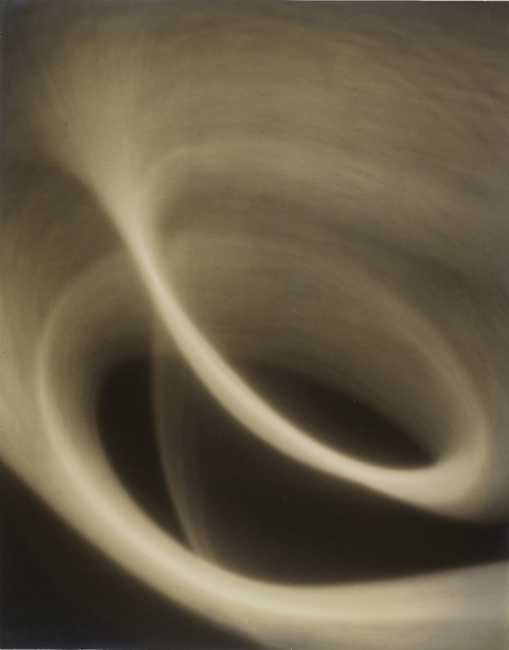 Also simply titled “Vortex” (1932), this was a small (11×14”) gelatin silver photographic print by Edward W. Quigley at the Museum of Modern Art in NYC. As someone who is fascinated by the intersection of art and science, this image really stood out to me at MOMA’s current photography exhibition, “Modern Photographs: The Thomas Walther Collection, 1909-1949”. It is on view through April 19, 2015. This entry was posted in weather and tagged arts, extreme weather, nyc by Melissa Fleming. Bookmark the permalink.